When SHTF, we all know we’ll need to be on our guard; but few know how to blend in when a crisis occurs. After all, most preppers will have stockpiled survival food and emergency water, and will hopefully be armed with tactical survival tools. However, there aren’t many preppers that know how to act when they’re out and about among the rest of the world. 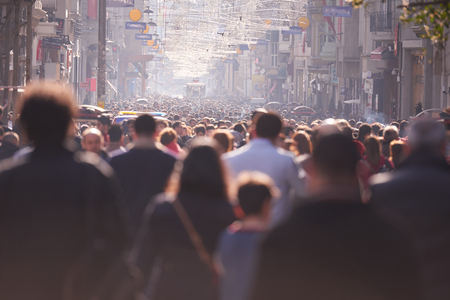 When a crisis hits, you can bet that people will be on the lookout for others that appear vulnerable enough to attack and/or steal from. And there are a few things you can do/wear that will instantly make you a target. Note: Did you know that even if you’re not living in an urban area when SHTF there are still things you need to do to make sure you can’t become a target? Read our blog to know more. You need to be aware of these things in order to not be seen as vulnerable to an attacker. If you’re in a rich part of town, you don’t want to be wearing a hoodie and ratty pair of jeans when SHTF. Same with if you’re in the slums, you don’t want to be sporting your Rolex and driving up in your new car. Your attire should match your environment and the other people in it. Once you figure out the “look” you’re going for, make sure that the clothing you do wear says as little about you as possible. For instance, an attacker can easily deduce that a man wearing a “World’s Best Dad” shirt obviously has children. It’s also easy to infer that a person wearing an expensive brand’s logo probably has more money than they’re letting on. This can easily make you a target. Remember, your appearance can leave a lasting impression on people – especially if they’re looking for ones vulnerable enough to attack. Your goal is not to be noticed or remembered by anyone. I’m about to show you an informative video that will teach you how to become a “Grey Man” or a “Grey Woman.” This video also has some great tips on survival clothing that lots of people think is good to wear in a crisis – but it actually makes you a target. 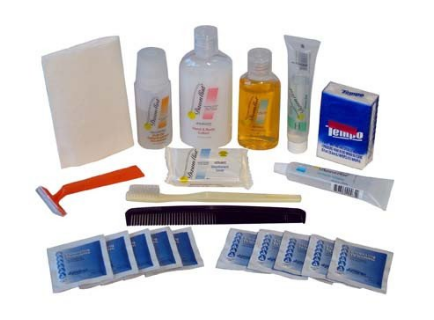 When SHTF and an emergency situation is upon us, most people are going to be walking around outside without having shaved or showered. Their clothes won’t be pristine, and they likely won’t smell very good either. Therefore, it would be utterly foolish of you to be walking around outside after just washing your hair and scrubbing your face. Because in a crisis, those without stocked up luxuries (like shampoo, conditioner, toothpaste, deodorant, etc.) are going to be looking for any opportunity to get their hands on your stuff. A great way to avoid this happening to you is to intentionally make it appear like you have just as little as anyone else. So maybe you should have a grubby outfit that you only wear outdoors. Or maybe you should skip washing your hair for a few days, and rub some dirt on your face and under your nails or use a scentless deodorant before you go outside. It can also be a good idea to wear a ball cap (if the environment warrants it) to help conceal your features. The more you can do to make it seem like you’re just as down on your luck as everyone else, the less they’ll see you as a potential victim. 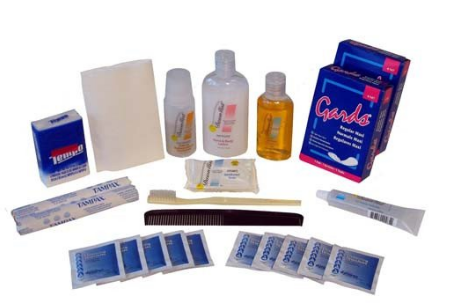 Note: If you need to make sure you have these bathroom luxuries (but want to be able to hide them easily in a crisis) we’ve got Male and Female Hygiene Kits (featured below) that contain tons of stuff and fit in very little space. 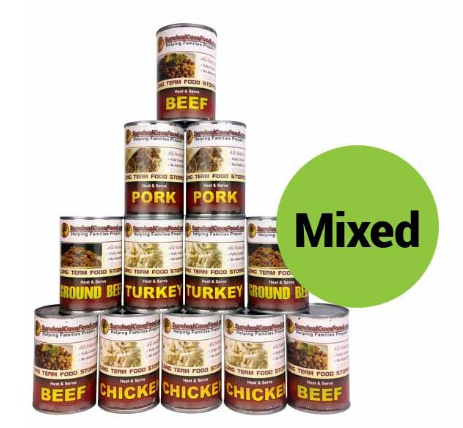 If you had the forethought and follow-through to stock up on survival food, we here at Survival Frog applaud you. However, as great as that achievement is, you shouldn’t flaunt your newly rejuvenated energy around the other people that didn’t stock up. Let me put it like this – people in crisis that don’t have much food aren’t going to be walking fast, running or jogging anywhere. They’ll want to be saving up their energy – especially if they’re not sure where their next meal is coming from. Therefore, watch your gait and make sure you’re walking just as slowly as everyone else. And maybe rub your stomach and every so often grumble of hunger pangs if you notice other people are doing the same. The more you make it look like you have no survival food at home, the less people will want to come see for themselves. 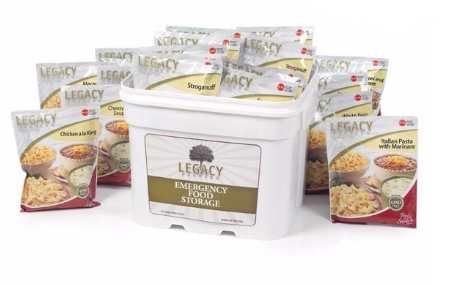 Survival food isn’t the only thing you should be worrying about, either; it’s critical that you make your home appear that it’s just as poorly stocked on supplies/money as every other home on the block. For example, if people can’t work in a crisis, that means they won’t be able to pay their electric bill. Keep the lights off as much as possible, and hang a blanket over the window to conceal the light. It’s also smart to hang a blanket in the doorway of your home in order to help hide the light on the inside. It’s also advantageous to use a quiet generator to power your devices so as not to arise suspicion. By powering your devices with this quiet device, people are far less likely to suspect how prepared you really are. Another crucial thing to consider is your trash. 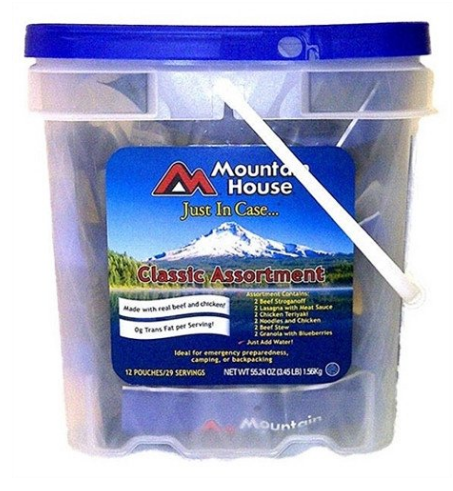 It’s critical that you have a heightened sense of awareness of what goes in your wastebasket. Looters will often go through people’s outside trash to figure out how well off the family is. So receipts containing info about large purchases and/or luxury items (like Starbucks drinks) may tip someone off that your house is the next one to hit. 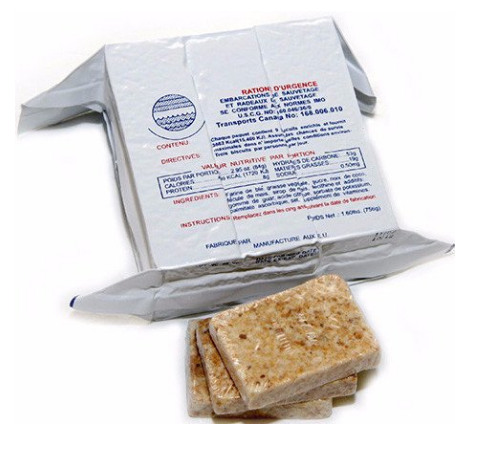 Note: Thankfully you’ll never worry about your Survival Frog receipts ending up in the wastebasket, since we have an amazing online store that send receipts digitally! Stock up on your favorite luxuries now and get FREE SHIPPING and EXCLUSIVE DISCOUNTS by becoming part of our VIP Buyer’s Club! Click here or on the image below to join. First off, if you want to keep your weapons, you want to keep them out of plain sight. 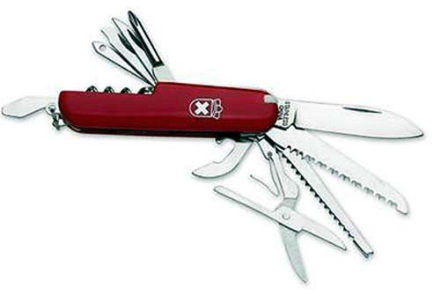 Some preppers think that if they openly hold their concealed carry/knives/other tactical survival tools in the open that it’ll scare off people from fighting them. However, doing so is only an invitation for people to come rob you. 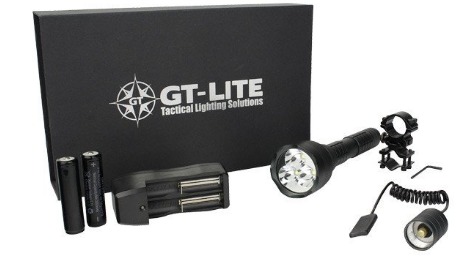 In addition to not brandishing your tactical survival gear around, it’s also crucial that you keep the tactical survival gear you do have well-hidden. For instance, cargo pants are great for carrying smaller tactical survival tools, as they have a variety of large pockets for carrying stuff in. It’s also important to remember that loose-fitting clothing is key – not only do these conceal your tactical survival gear better than tighter fitting clothing, but it also makes it harder to identify your body type/shape – which can be an asset if someone is trying to find you. Most preppers keep IDs like their driver’s license and passport on them at all times. However, there are other means of identification, such as business cards and insurance information, that many preppers leave lying around. Take all the Identification out of your car’s glovebox, and keep it on you at all times. Also, stop giving out your business card – you never know what the other person’s motives are. Lastly, be sure to take the garage door opener out of your car. Thieves can easily smash a window and steal it, therefore not only allowing them access to your car, but to your garage and house. 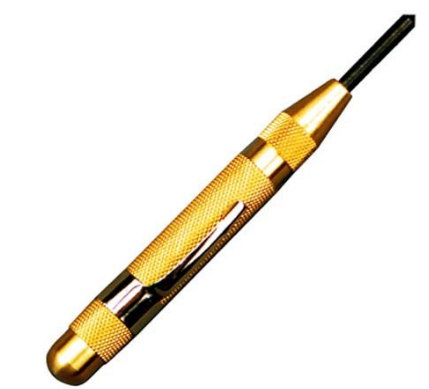 Note: If YOU need to smash a car window (when SHTF, be prepared for anything) we’ve got an awesome survival tool for the job. Check it out here. When you’re in a crisis, you need to blend in; however, this does NOT mean becoming distracted! Most of us see people every day walking around texting on their phones or listening to music with their headphones on. However, this is one of the WORST things you can do in an emergency situation! When you’re walking around texting or you have your headphones on (even if you’re not listening to anything), you’re signaling to the people around you that you’re lost in your own world and are therefore vulnerable prey. Plus, if people notice you’ve got expensive headphones or a fancy phone, they’re going to assume you’ve got money – and probably survival food and emergency water to boot. Do yourself a favor and stay alert and focused at all times – and that means without any distractions. Also, make sure you walk with a sense of purpose. If you look like you know where you’re going and are paying attention, you’re far less likely to become a victim. Now most of us know that an emergency situation can happen instantly, without warning. And most of us are prepared and have our survival pantry, bug out bag and long-term food storage well-stocked. However, think about your friends, family, coworkers, and neighbors (the good ones). Are they prepared for an SHTF situation? Do they have all the survival food, emergency water and tactical survival gear they need to survive a crisis? They might not have enough money to shop for survival gear. Or maybe they don’t have time to prepare. Well the fact is, unless something changes, the people you care about are going to keep traveling down this path of unpreparedness, and then will ultimately come to YOU to feed them, hydrate them, and protect them using YOUR stocked up survival gear. 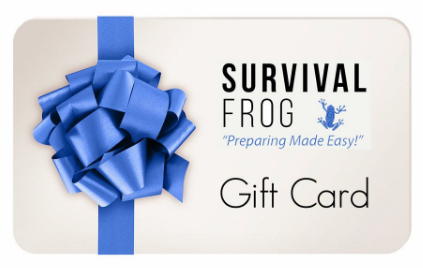 Do them (and you) a favor by giving them the gift of preparedness with a Survival Frog e-gift card. 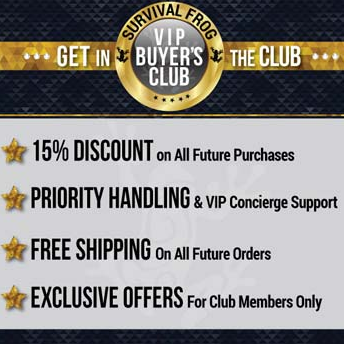 Not only can you help the people you care about instantly order tons of awesome survival food, gear and hydration tools that will be shipped to their door (getting them confident and ready for SHTF), but this will also protect YOU from having to share all your hard-earned preps with a bunch of others. Click here or on the image below to give the gift of prepping and send a buddy/neighbor/family member a Survival Frog e-gift card today. It might just be the best thing you do for them (and for yourself) before SHTF. This entry was posted in Emergency Preparedness, Emergency Survival, Outdoor Survival, SHTF, Survival Basics, Videos and tagged prepper hacks, survival on September 29, 2016 by Survival Frog.